Fight for Kidz - Is a Southland organised and managed bi-annual boxing event raising funds for local Children’s Charity’s. X Factor Cars have had the honour of sponsoring the ‘Red Corner’ for the last four years. We are very proud to be associated with the Fight For Kidz and look forward to continuing our support in years to come. Local Scout and Girl Guides - X Factor Cars are proud to have supported local kid’s by donating good’s to be raffled at fundraising events and quiz nights. Local sports groups - We’re massive on keeping it local and support all codes where we can. 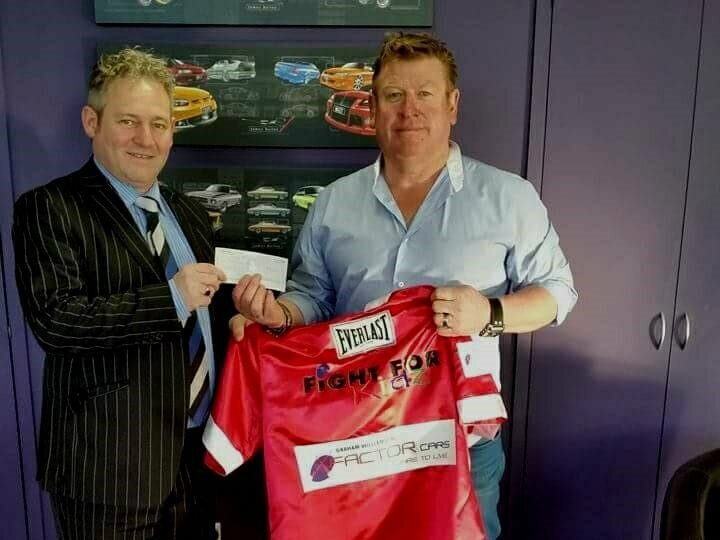 From Volleyball to Netball, Youth football to Rugby League, X Factor Cars in some way shape or form, whether it be a small gesture or a seasons commitment have been there for local sports clubs when they need it. We are firm believers in supporting those that support us and will continue to do the best we can for our client base and families. Southland Entertainment Awards - Music is a massive passion of the all staff at X Factor Cars, especially the Boss, Bruce Springsteen that is, a personal favourite of the other boss Graham. We’ve been on board with the Southland Entertainment awards for over half a decade and have enjoyed every minute of it. We always look forward to a great night out in support of local talent. If any province in the country knows music it’s Southland and we love it! Speedway - It’s no secret, we live, breathe and can’t get enough of speedway. X Factor Cars have shown their support to speedway competitors, events, clubs and have even put our name to a handful of New Zealand Championships. We do what we can for those that fly our flag. You’ll find X Factor Cars on the side of Solo’s, Sidecars, Street stocks, Mini stocks, Saloon’s, Super Saloon’s, Stock Cars, Modified Sprints and on the sponsors board at all most every track in the Southern Region. It truly is our passion and where we spend all of our weekends during the summer.